It was a beautiful Indian summer day 117 years ago in Geneva, Switzerland, when Empress Elisabeth of Austria left the Hotel Beau-Rivage, where she spent a night incognito, to hurry to the steamship “Genève”. On this Saturday, 10 September 1898, Empress Elisabeth was assassinated by Luigi Lucheni, an Italian anarchist. The tragic event was well covered in the coeval press, as Elisabeth of Austria – also known as Sisi (not “Sissi”, like in the movies) – was a mysterious fairy-tale princess. She was obsessively concerned about her beauty and spent several hours a day just to groom her knee-long hair. Sports and diets were her passion, and she loved to hike and to ride, but was so slim that she suffered from famine oedema. Luigi Lucheni, a poor man full of rage for the upper nobility, ran towards them as they walked by on the promenade and stabbed Elisabeth directly into her heart with a self-made weapon composed of a small sharp file. But neither the empress nor her lady-in-waiting realised what really happened. Thinking of a robbery attempt, they went on boarding the ship. A few minutes later, Elisabeth lost consciousness and died. Needless to say, the public, especially in Austria and Hungary, was shocked and in deep mourning. 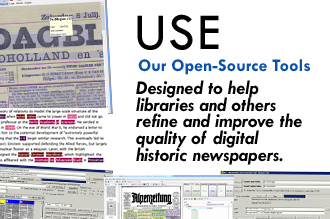 A lot of newspapers were published with a black mourning border, like Der Burggräfler or Meraner Zeitung. There were long extra issues about the life and death of Empress Elisabeth, for example this broadly illustrated Österreichische Illustrierte Zeitung. Some followed Elisabeth’s passion for poetry and wrote own poems like Die Bombe or Pusterthaler Bote, the Weltblatt just published her last picture (it shows her in her early thirties, she wanted to be remembered young and beautiful, so she refused to sit for any portraits or photographs later on). Less emotional and without huge headlines were the reactions in Prussia, where Berliner Tageblatt newspaper articles focused on the assassin Lucheni and detailed descriptions of the events in the Neue Hamburger Zeitung. 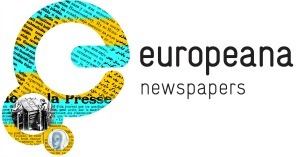 The European press also covered the news extensively, just find some examples in French La Croix and Le Martin, La Unión Católica in Spain, the Allgemeen Handelsblad in the Netherlands and also overseas colonial newspapers reported, like Sumatra-courant. 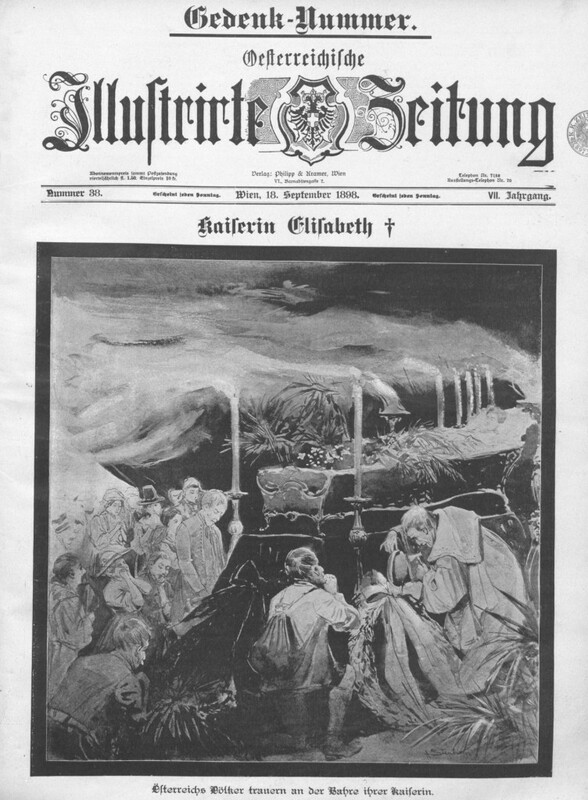 Elisabeth’s body was brought back to Vienna, where her funeral cortege followed her on 17 September 1898 to the tomb of the Capuchins (get an impression at Österreichische Illustrierte Zeitung). Her assassin Lucheni was caught and confessed immediately. He was brought to Geneva court on 11 November 1898, where he was incarcerated for life, what Luigi regretted a lot, as a death penalty would have had been much more catchpenny. During his process Lucheni declared that he came to the decision to “murder the first high-born person” that he would meet in Geneva (e.g. Hamburger Anzeiger, 12 November 1898), it was just a coincidence that he found out about Elisabeth. 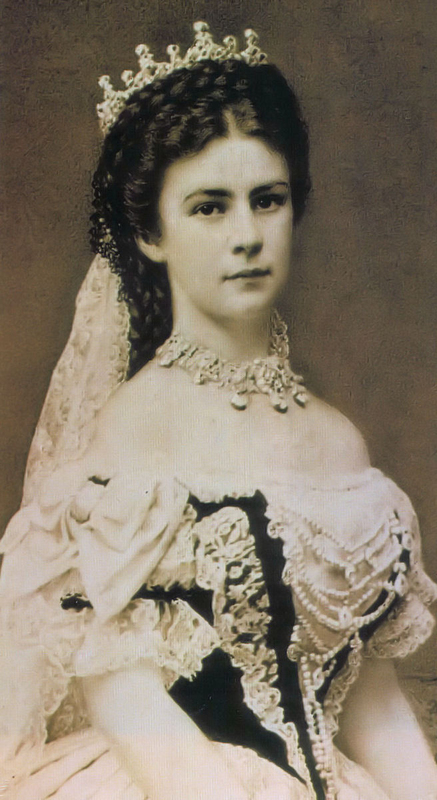 Elisabeth of Austria was one of the first true European citizens, not so much because she was Empress of Austria, Queen of Hungary and Queen consort of Croatia and Bohemia, but because she spent most of her life travelling and deeply loved all the miscellaneous peoples and cultures. She seemed to be a fairy-tale princess, with the undivided love of her husband Emperor Franz-Josef and a paradigm for beauty. Yet this was not the life she was born to live and she tried to break out of her golden cage her whole lifetime. 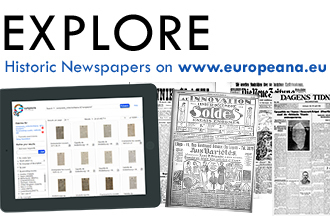 This entry was posted in Blog, Celebrating historic newspapers and tagged this day in history by eurnews. Bookmark the permalink. Just read Allison Pataki’s The Accidental Empress about Sisi Wittelsbach. Pataki must be a Hungarian or Czech name. Her father was Governor of New York State. One wonders what 1914 would have been like if people listened to her instead of the Prussian thugs in Berlin, if real reason and democracy had prevailed. Counterfactual history. Jack Beatty wrote about that in The Lost History of 1914. Imagine the hubris of German officers who would slash you if you did not step of the sidewalk for them. That occurred in the South of the United States before the Civil War: a Black had to step into the gutter for a White. Look where that has led. Pataki is a Polish name. You talk utter Rubbish Thomas. The same Elite that orchestrated the Boer War started the first world war. White Christians were cannon fodder. What Prussian thugs are you on about? Allison Pataki, has a follow up book on Sisi, appropriately titled “Sisi”, Empress on Her Own, which opens in Geneva Switzerland, September 1898. The book subsequently begins – Chapter 1 in the Palace in Hungary, September 1868. The Accidental Empress,ended as Sisi becomes Queen of Hungary in Budapest June 1867. Both these books have been outstanding reads, since my tour guide in 2015 continually regaled us with Sisi’s story as the bus traveled through the countryside of Vienna, Prague, and Budapest. Did not like Pataki’s book in the least, not well researched, very inane, could not finish it, I thought it a real waste of time, I read mostly history, this book is to “novely’ for me, young girls stuff “took her his arms……” Started reading Countess Marie Larish memoires, now this book is very, very interesting. Pataki’s book is full of bad English, historical nonsense and silly pop psychology. Rubbish. My book club in Portland, OR read Pataki’s book “An Accidental Empress”. Twelve women attended the meeting on 9/13/16 and the majority loved the book. The women who didn’t like it agreed with margarita Lynn’s comment re not well researched, etc. those that loved it took into account that it is a historical NOVEL and went along for the read. Lots of fun and enjoyment when one doesn’t get too critical. 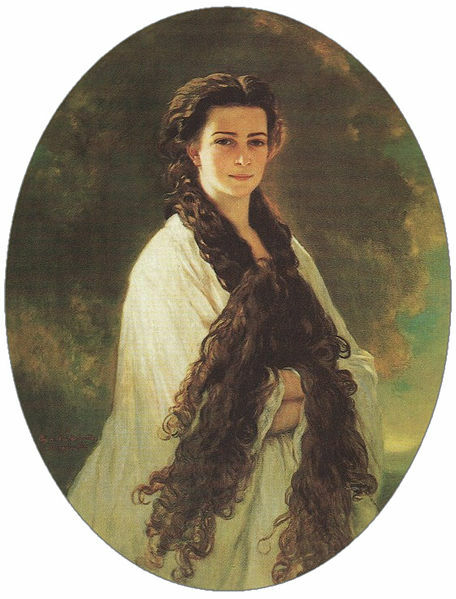 My new (Hungarian-) English EMPRESS ELISABETH (and her family) Magazine – a subdivision of a Hungarian-English Magazine – TUMAG (updated 2-4 times a week) supported by SCHLOß SCHÖNBRUNN Kultur- und Betriebsges.m.b.H. (Vienna) and the ROYAL PALACE of Gödöllő (with exclusive photos and information) <3 If you are interested in Sisi, please visit 🙂 Thank you very much. Have a nice day! Pingback: ¿De verdad estamos tan cerca de la Tercera Guerra Mundial? I am doing genealogy research on my family and have a letter written stating a relative was a lady in waiting to Elisabeth. I am looking for the name of lady in waiting. If anyone knows the name of person please e-mail me at lynnb@stitchshoppe.com I have the correct time period. This would be a related on the zanchetta side which is also crossed with cicona and then back I think 5 or6 generations from me. the lady in waiting was Countess Irma Sztaray. How do we know it was Luigi Lucheni?..was he framed? I notice she was meeting a member of the Rothschilds. Did people believe the press back then? My book club read Pataki’s book. She paints a pale comparison to the historical Sisi. Don’t bother with that book. Read all you can on the internet, especially wikipedia. Sisi was fascinating! I live in New Zealand and had never heard the story of Kaiserin Elisabeth of Austria until I visited Vienna this year (2017). I now have her picture on the wall in an honoured place. Her story is so tragic and poignant – it lacerates the heart all these many years after her assassination. I read both books The accidental Empress and “Sisi” Empress on her own. I loved both books. It made me want to know more about her. Sometimes I felt sorry for her, at times mad, and understood her all at the same time. It’s a novel, so not everything will be the real life of the Empress. It leaves your imagination to run wild. having her babies “ripped ” from her and controlled by her mother-in-law. Her poor son Rudolf was also victimized by his grandmother Sophie. Sisi was nothing more than a “breeding machine” for Sophia. Hi, I am researching the life of Frederick Barker, the last English Reader to Sisi between 1891-1898. It seems there is little known about him other than that he was a member of a well-known Anglo-Levantine family of Barkers (of which John Barker (1771-1849), British Consul General in Egypt was one) who may have been a great uncle or grandfather of Frederick. My aim is to track down any information on Frederick either before, during or after his time with Elisabeth and to locate his “Unpublished Diaries – 1891-1898”. 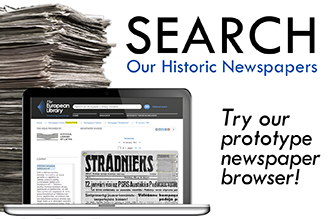 The diaries were cited in the “newspaper sources” of “The Lonely Empress” a rather critical biography of Elisabeth of Austria by Joan Haslip published by Phoenix Press, an imprint of the Orion publishing group. However she doesn’t say where she found the diaries and although people on different forums seem to have read them I’ve been unable to locate them. I know Frederick was a young man in 1891 but don’t have much information of him other than he lived in Alexandria before working for Sisi and referred to himself as “Anglo-Oriental” and his mother may have been Greek. Any information would be welcome. Thanks. I am also interested in these diaries. They are said to have been in the possession of a certain Mr. Kalogeropoulos, who lived on Corfu. Unfortunately, the National Archives in Corfu as well as the UK Archives could not help me with my query about Frederic Barker. I once read that these diaries still do exist, however, they are still undisclosed. ← Previous Previous post: Extrablatt! Final Report published!